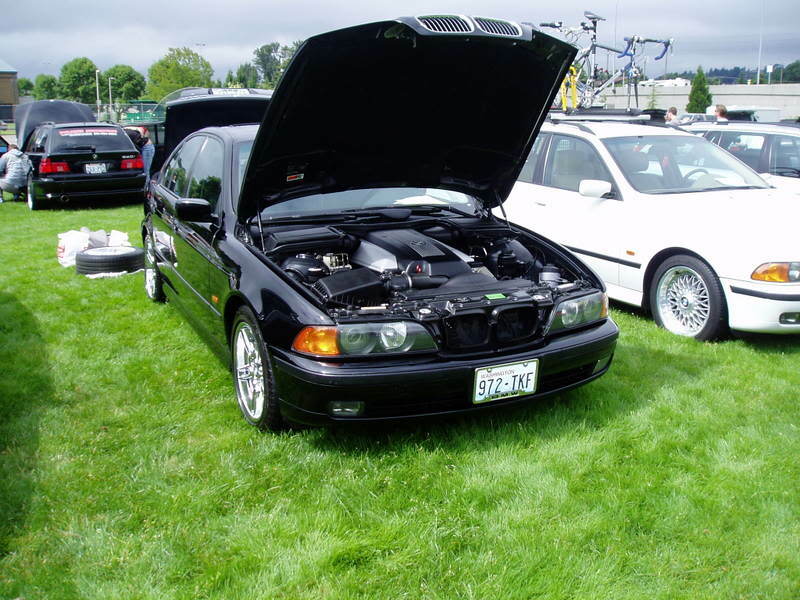 This car took 2nd place in class at the BMWCCA Concours d’Elegance in 2007. It is a great daily driver and has just the right amount of horsepower and torque to make it fun but be under control, comfortable at the same time. Black on black, leather, wood trim, air conditioning; power everything, moon roof, full size spare, 8-way adjustable front seats, telescoping steering wheel with radio controls, heated seats, 6-disc CD changer, rain sensing wipers, cruise, integrated garage door opener, dual-zone heat, on board computer and more. Maintenance records for the last 2.5 years includes radiator, hoses, heater hoses, front suspension work, power steering pump, reservoir, and hoses, cabin filters, valve cover gaskets, cam shaft sensor, regular oil changes, spark plugs, serpentine belt, and more. Killed a 2000 Twin Turbo Lotus. FS: Skyline GTR rims w/ ES100 tires!